Happy New Year 2013 folks! What a wonderful and productive year it was. looking back, I feel like it was one of the best years of my life - in many respects it was. Especially in terms of fitness and racing. In 2012 I did two Sprint and two Olympic distance races (won overall in Sprint and Won in my age group in Olympic) - the results are listed on the RACING page of this blog. I also did MS150 ride. 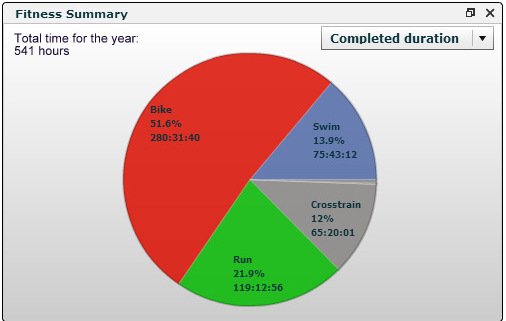 In 2013 plan on doing two Sprints, two Olympic and two Half Ironman distances. 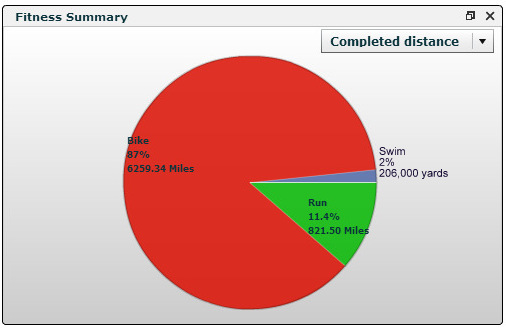 This year 95% of all of my biking I did on the indoor trainer - on my recumbent Schwinn 230i bike (circa 2001) - I will post a picture of it someday. 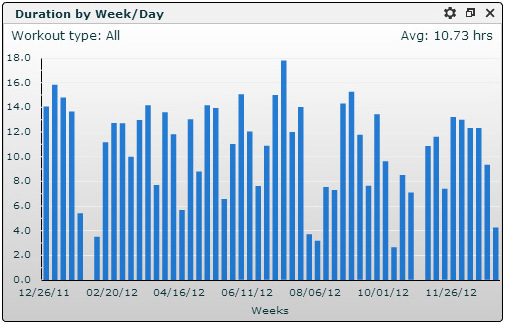 I did some 95% of running outdoors and about 85% of that on trails and off pavement. My height is 172 cm (5'7'') and weight this year was between 69 to 75 kg (152 to 165 lbs). I had no injuries this year, except for a bit of light pain and "sensations" in the right foot and knee - especially after races. Nutritionally I think I did well and made fruit and berry smoothies on my Vitamix blender several times a week. I must admit that this Vitamix is the most important "fitness" equipment I own :-). Since most of my cycling is done on the trainer indoors, almost all of it is long steady ride with no intervals - after initial warmup of about 15 min, building up power to the steady level of 150 to 200 Watts and maintain it for the period of the ride (usually 90 min to 2 hrs), then cool down for 10 min at the end.